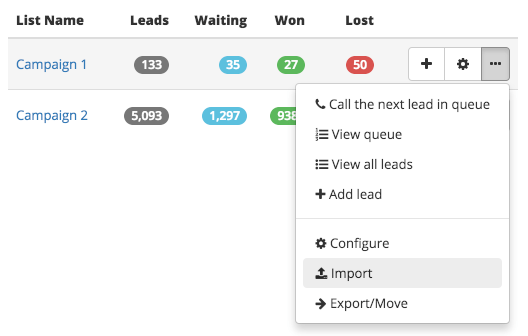 How to import leads from an excel or csv file. Here's a quick video describing the good way of getting that list into myphoner, and a guide to give you some extra details. Now all you have to do is find the import screen in myphoner. 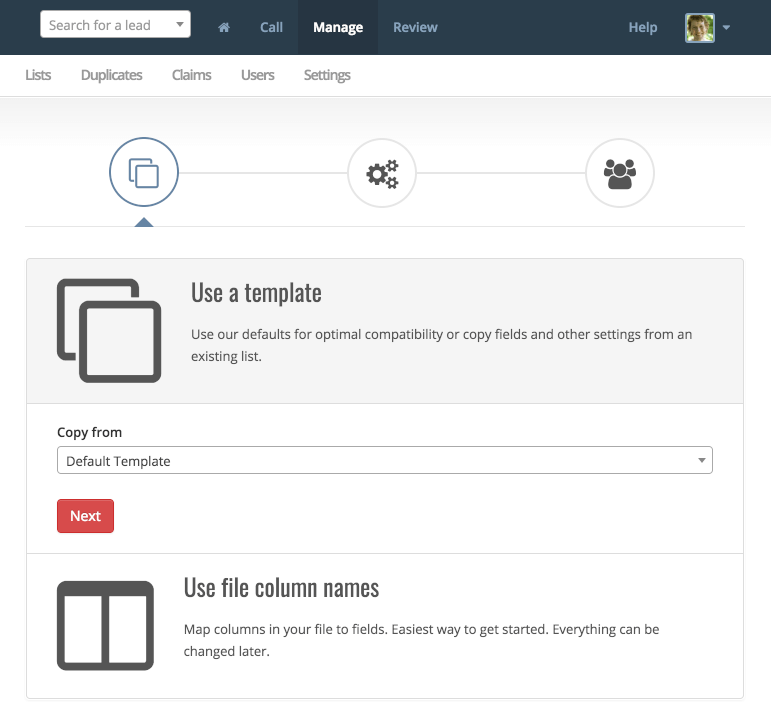 Go to Manage => Lists => Add a new list, hit "Select file" and locate the file on your hard drive. If you want to import a file of leads to an existing list, go to Manage Lists and then choose Import from the context menu next to the list you want to import into. Make sure that all the columns you want imported has a green header. 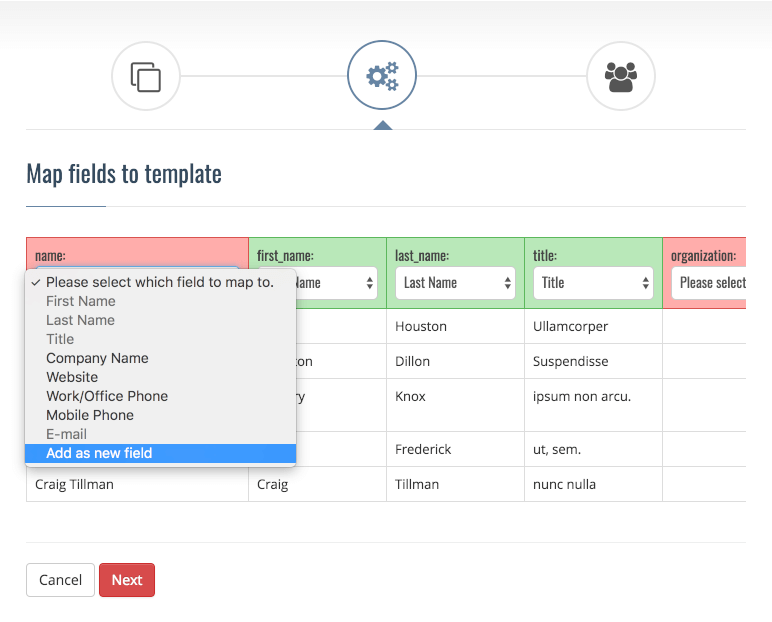 If ther header is red, it means that the field has not been mapped and data for that column will not be imported. Please not that if you selected 'Use file column names' when selecting template, you won't have to do this. If you see an error message while importing a list, please refer to the troubleshooting section.